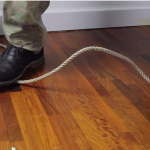 (Video) How to Make an Automatic Fishing Pole Primitive Trap. While Living Off the Grid This Could be an Asset! You don't have to be an expert fisher to catch your next meal, all you need is to know now to set up a small fishing trap and you're good to go. 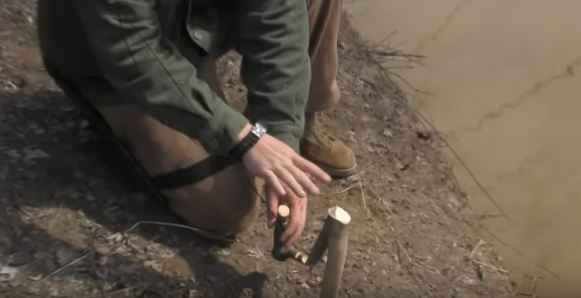 We got a great video for you from Sigma 3 Survival School that teaches you how to set up an automatic fishing pole primitive trap. In this video on the next page we see Rob demonstrates how to set up the spring pole and trigger system. The first step is to find a spot near a lake, river, or any body of water. He suggests finding a tree limb and driving it into the ground to create a stake in close proximity to the fishing spot. Next, you'll need to find a large branch that's flexible enough to use as a spring pole. You'll need to ram one end of the pole into a tree to leave from for cordage. Next, you'll need to find a large branch that's flexible enough to use as a spring pole. You'll need to ram one end of the pole into a tree to leave from for cordage. One of the important things to take from the video is Rob's tip on fishing hooks. He prefers using smaller hooks because you can easily catch big and small fish. Bigger hooks are only good for catching large fish, but it doesn't help catch smaller fish. Go to the next page to find out more and watch the video.